The best way to describe our work and approach to customer services is to ask our clients about it. Palleonn Consulting Centre provides the full spectrum of immigration and visa support services for people all over the world willing to relocate to Canada and Australia to live permanently or temporary, to work, study or do business. Our feedbacks prove that all visa and immigration procedures are easier, smoother and faster when we do it in team with our clients, guarantying accuracy, up to date immigration legal advice and 24/7 customer support. You will also find here feedbacks from Palleonn Consulting Centre students, whom we prepared to international language examinations (like IELTS, TOEFL, TEFaQ, etc) required to pass for living, working and studying abroad. We do appreciate getting to know your vision on improving our services and approach – your opinion is our guiding star. We thank all our ex clients for leaving their feedbacks here. 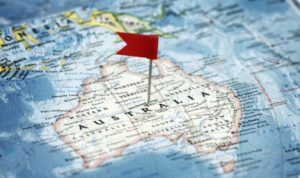 All topics related to immigration, settlement, education and employment in Canada and Australia are so relevant for all those who are in the beginning of process. Congratulations to a wonderful family with their immigration visa and permanent residence status in Canada! 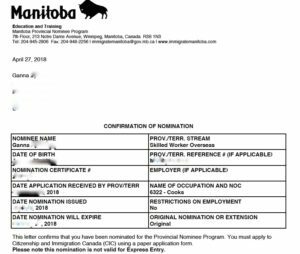 Immigration was accomplished through provincial nomination with Express Entry profile. It is worth noting, that federal processing, due to Express Entry, took only 2 months. You want to immigrate to Canada? Contact us. Our 13 years of immigration experience is what you need in your immigration venture. 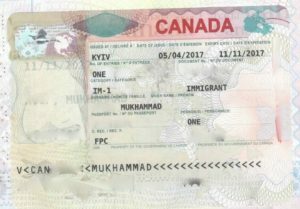 Exploratory visit stage in immigration to Canada under Morden stream – is a victory and a risk. Firstly, it is a victory – if and when the visa is approved and you are welcome to Canada. Secondly, it is a risk not to get it. 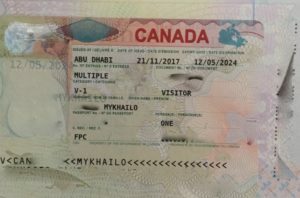 It is a real challenge with multiple complications in form of “human factor” and officer’s subjective discretion to prove that you would leave Canada after the visit and return back home. Especially, when it is about countries with more than 30% refusal rate. 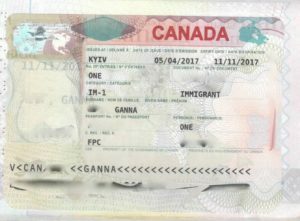 What do we do to get you the visa – as a step in gaining the principle aim – immigration to Canada? We do everything and a bit more. 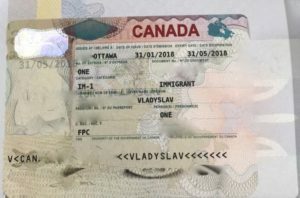 We forecast all aspects of human factor, we use 13 years of experience in similar visa type applications in our professional field, we approach to narrow specialized immigration advisors, lawyers and consultants if that is needed, we call the Minister of Immigration of Canada (though he does not pick up, but it is a matter of time)). 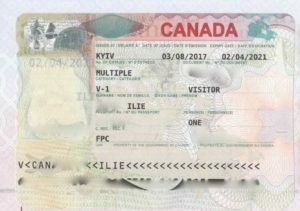 People are sometimes annoyed by the way we become meticulous, picky, intrusive in requesting specific documents for visitor visa to Canada. And then they thank us for this same meticulousness, because due to this exact attitude and attention to each coma in the visa application, we go to sleep the night after submission more or less calm and confident. And when the visa is approved we are happy together with you, because we know what we are capable of and now you know that. 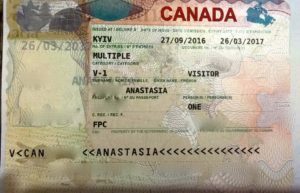 Congratulations to Dmytro and Tetyana with Visitor visas to Canada for exploratory visit in frames of immigration process. 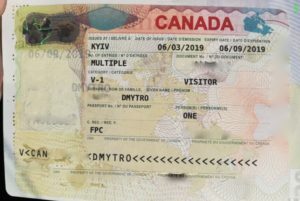 Dmytro got the visa from the first attempt and that is amazing. Tetyana got it from the second attempt, and her application is a real masterpiece, when negative factors transform into advantages and change the angle of officer’s attitude towards the application. It is always easier with us! Pack your bags and have a great trip! This family went through refusals, uncertain perspectives with Canadian employer, full range of doubts and challenges. Yet here we are – we made it happen and the dream of a great family has come true! Work permits and study permit for a kid while PR pathway is in active processing, enabling to enter and work in Canada at least half a year earlier! Congrats to you and to us! We appreciate your persistence! Together – we are always stronger! Congratulation to Kateryna! 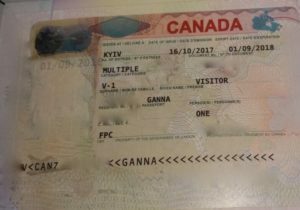 Multi entry Visitor visa to Canada till the end of passport validity wit right to stay in Canada for 6 months each time. Professional services=result=satisfied clients! Do you want to go to Canada? Contact us and we will service you through any pathway you need in order to achieve YOUR result. 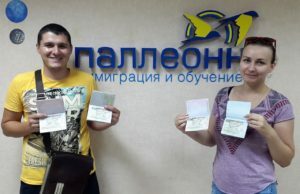 Our congratulations to Nadiya and Dmytro with immigration visas to Canada, they almost became our relatives during immigration to Canada process. Immigration process of this family was very complicated. Yet we made it and proved that anyone can immigrate, it is just a matter of right strategy. Our team made it happen only due to team work of all our staff and the family itself, as only when we work as a team we can achieve the result. Welcome to Canada, our dear clients! And congratulations to the community of New Brunswick with getting such positive and goal oriented people. – Organization of preparation to international language tests for immigration and studying in Canada. Schedule a consultation – button below. Palleonn – probably, the best in immigration consultancy. I would like to thank the team of Palleonn Centre. Remembering now all step by step process and pathway of our immigration to Canada, starting from learning English and up to getting Canada immigrant visas for my son and me, I can say that we were supported, advised and provided professional services on every step by professionals. Thanks to the team of Paleonn and of course to Ms. Olena Palatnik. Thanks for making our dream come true. Unreal IS real. Amazing result and speed! Our congratulations to Ganna and her family on getting nomination certificate MPNP 2018. Each day make us better and faster. Ganna’s example is a bright illustration of it. MPNP application submitted – February 2018. MPNP nomination certificate received – April 2018. 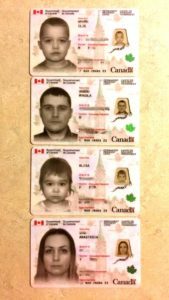 Congratulation to our wonderful clients with the final stage of their immigration to Canada 2018 process – obtainment of Permanent Resident Cards of Canada. 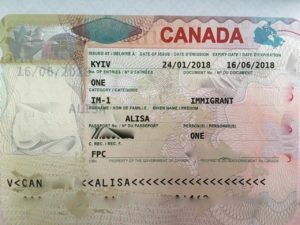 Together we went the whole pathway from Visitor visa to Canada, through work permit and temporary resident status in Canada to finally immigration visas and permanent residence cards of Canada! PR status in Canada gives almost all right of Canadian citizenships, is issued for every 5 years with the right to extend it or apply for Canadian citizenship after 3 years of living in Canada. We are waiting for your Canadian passports for our mutual collection of yours! Have a wonderful life in Canada! 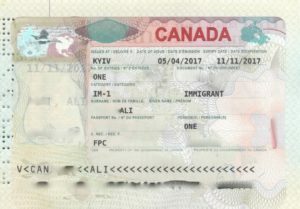 More about immigration to Canada – www.palleonn.com and on our Facebook page. There are more than 70 immigration programs to Canada. You are welcome to address to Palleonn team for consultation and finding the optimal program and immigration strategy for you and your family. I would like to show my great appreciation to Palleonn team for the work done in terms of my immigration to Canada. 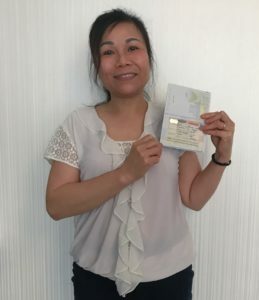 My pathway was not the easiest one, as I had an unforeseen situation with my employer, though Palleonn was in touch with me 24/7 and I got all the support from them and answers to all questions related to immigration to Canada. 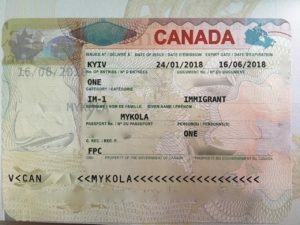 I am one of those people that always strives to be up-to-date and therefore I had a lot of questions related to immigration process during all immigration period to Canada. Palleonn always responded to my queries very fast with details and professional data, even if my questions sometimes were inappropriate. Immigration process in terms of documents preparation and submission was quite easy in my case, because Palleonn team took my hand and carried me through all challenges and bureaucratic steps, I am very thankful for this to them. 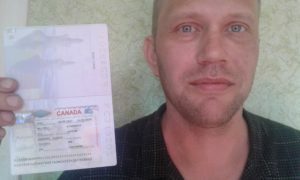 This is due to Palleonn that I got the chance and right and became a permanent resident of Canada. I wish you less complicated cases and more understanding and kind clients. Thank you! 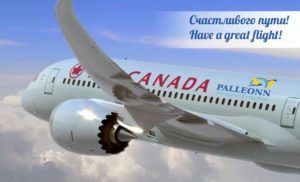 On behalf of all our family we would like to thank Palleonn Consulting Centre for our immigration to Canada, for the visas, for all actions, advice, support and assistance in our uneasy and challenging immigration pathway to Canada. You are a super team that went through all emotional aspects of immigration to Canada with us hand in hand. We were one in those numerous hard and easy moments and due to your support we made it 100%. You were with us 24/7 every immigration day. Thank you for that! We are so happy. From our own part, we would like to add that Nastia’s family – is the standard of patience, persistence ad purposefulness. During quite a short period of time she accomplished exploratory visit to Morden, Manitoba, returned back home, received a work permit and work visa to Canada for all her family members (spouse and 2 kids) and herself, came back to Canada with that. 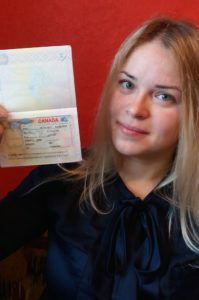 Finally, already working in Canada, she received her immigration visas and Permanent Resident Status in Canada. The volume of services and works done by Palleonn team in scope of Nastia’s family immigration is so enormous that it cannot be calculated neither in hours, nor in drops of sweat, nor in the level of emotional involvement of each Palleonn team member. 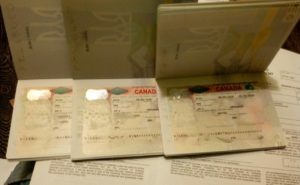 We all did our best and more to achieve this perfect goal, and as a result, we have 4 new permanent resident of Canada. 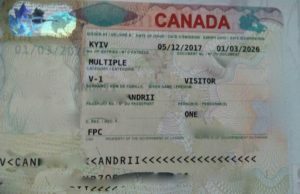 A year ago Vladislav was submitted for immigration to Canada under Manitoba provincial nominee program. 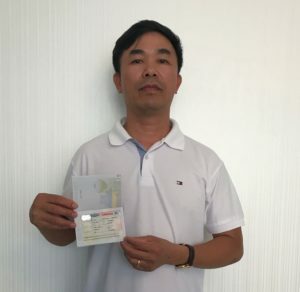 Yesterday, he got his immigration visa, already living and working in Canada under work permit. 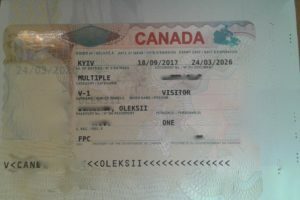 Before immigration visa, Vladislav got his Visitor Visa for exploratory visit to Morden, MB (it is worth noting that first, he was refused Visitor visa, being a single applicant, yet under second application, the Visa Office changed its mind and issued Vladislav a multi entry visa to Canada – we always emphasize on the fact that it is a challenge to get a Visitor Visa, even with government invitation, and this is exactly the case). 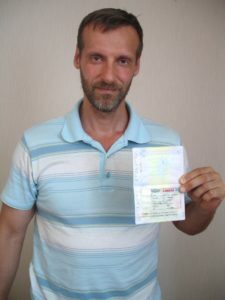 Yet the result was amazing – Vladislav accomplished his visit and was offered a job of a Cook during it. Because COOK in Canada is a highly demanded occupation. 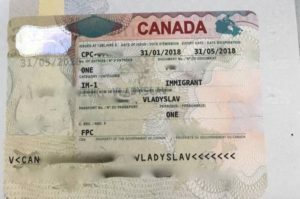 We are very glad that we serviced Vladislav in timely, quality and correct manner and all the results were obtained properly – Visitor visa to Canada – multi entry, work permit to Canada, and finally immigration visa to Canada and status of Permanent Resident. 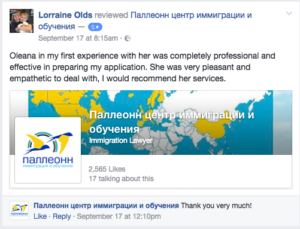 We are very pleased to receive positive feedback on our services from our client from Philippines, who is assisted in immigration process by one of our Regulated Canadian Immigration Consultants Ms. Olena Palatnik. Time is not a hassle; the consultant is available anytime for the services and provision of detailed consultations. Not met Ms. Palatnik yet in person, but in frames of online work she is a lovely consultant in the way she treats client – the quality is SUPERB. Ideas in processing papers are not easy to create, but with the nurture knowledge of Ma’am Olena – I have done it greatly. A HIGHLY RECOMMENDABLE consultant, professional assistant in immigration; ready to help, instant response and very reliable. OLENA….such a blessing giving your time and help. What can I say! Thank You for being kind-hearted. Palleon Consulting Centre gives us chance to build up our future in Canada. It is not a secret that Canada has its own statistics data considering risky countries – those, citizens and/or residents of which breach Canadian Immigration Law more often than others. 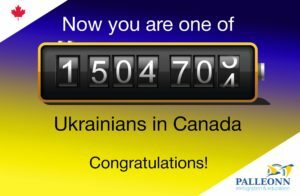 One of the vivid examples of our victory on Canadian Visa Office statistics is Alona and Mike case. 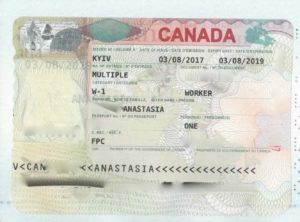 They are Ukrainian nationals, working permanently in United Arab Emirates. 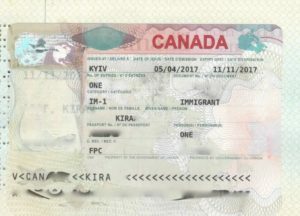 In such cases, quite often, Visa Office does not see any connection of applicants neither to their home country, nor to the country of residence. It results in refusal. This is what happened with these applicants’ cases initially. 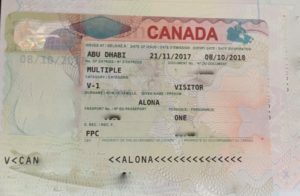 When applying anew for Visitor Visa to the same UAE Visa Office of Canada, the only thing that could have convinced the officer was explanation letter that MUST have been strict, forceful, coherent, linked to specific articles of Canadian Immigration Law Acts and Regulations. Such letter is the only document, able to convince the Officer to make positive decision. 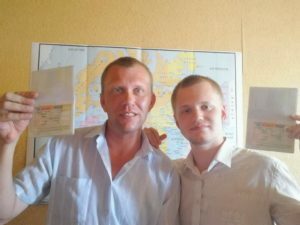 And we made it, which is our great victory, and now the format of this specific explanation letter – is a pure excellency example of Palleonn’s professional Visa Support Team. Once again we proved and got assured that refusal is not a sentence; after any refusal, and even after several refusals in visas to Canada you CAN and will get the visa and/or immigrate to Canada successfully when properly approached. We can overcome the majority of challenges like that. Thanks to all those members of Palleonn team, who influenced the destiny of our clients with their professionalism and personal approach. 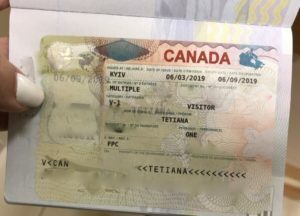 Our warmest congratulations to one of our clients, who successfully got multi entry Visitor Visa to Canada valid until the end of passport validity. Andrew – is the third guy in the big family that referred to Palleonn for visa support and immigration services. We are very happy to serve such big families. We wish Andrew great flight and wonderful time in Canada! 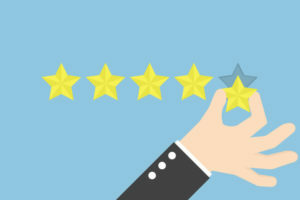 Dear readers of Palleonn Centre reviews, if you are here – it mean that you have a goal to change your life for better, and I hasten to please you – you have found a great supporter, partner and a real professional immigration centre Palleonn. I write with special trembling and passion to Palleonn because I’m very thankful for everything they did for me. Not being greedy for adjectives, I want to note that Palleonn always means individual approach and assertiveness. For example, all my English instructors (three of them), because of my business, had a Skype lessons with me any day and even at night-time, even on their birthdays and Christmas! They are the most powerful professionals, which selflessly fought for every score point of my IELTS for immigration to Canada. As a result, I got my first victory – required IELTS score for immigration to Canada. 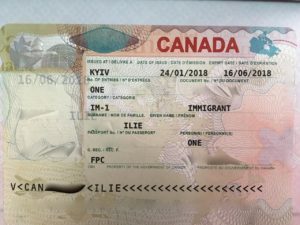 Palleonn is all about structured, thoughtful and rigorous planning: all collected documents, all work that we had done with my husband – everything was for a reason, and, as a result, we got a Visitor visa to Canada for an exploratory visit in frames of immigration to Canada. 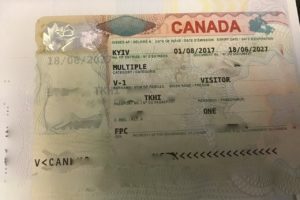 That’s my first Canadian visa and it’s multi-visa! Palleonn is reliability and competence. With such a professional team our family continues the path to the goal – immigration to Canada with hope for success. I will do provide photos from Canada after my visit. Canada is famous for its balanced selection system of applicants wishing to get to Canada for a short-term visit. Today, a Visitor visa to Canada is an art. Not always and not everyone can get it. 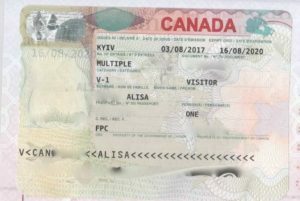 Refusal of a Visitor visa to Canada can be a result of a variety of reasons. 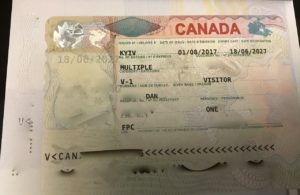 In course of our work, we occasionally deal with situations when the visa officer of the Embassy of Canada refuses applicant a Visitor visa for no reason, simply because he is not obliged to justify himself too much. In this case, practice shows and proves that Visitor visa to Canada can be obtained after one, and after two, and even three previous refusals, the Visitor Visa can even be obtained after the ban to enter Canada due to more serious violations. 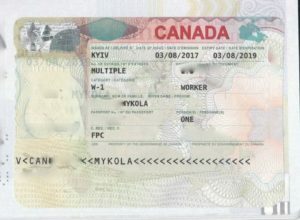 Visitor Visa until 2026 (multi entry) after refusal based on lack of connection to home country. Applied in 7 weeks after initial refusal. The main task when submitting a fresh application for a Visitor visa is to explain and dispel all previous doubts of the officer. To do it, first and foremost, you should know all Officer’s doubts. This can be found out by ordering an extract from the database of immigration Canada and thoroughly analyzing it content. A more important task is not to be offended at the officer and not to offer excuses, but to out yourself on Officer’s place and look at your own application with Officer’s eyes. This way you will understand the grounds of refusal, which you gave the officer yourself actually, still almost everything can be fixed. 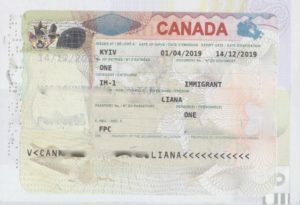 Pay attention to your connection to country of citizenship and residence when applying for Visitor Visa to Canada, especially if you do not have a family, children, real estate in your home country. Do not be afraid to show in your statement “too many” documents. There is no “too many” in such cases. Do not be afraid to tell the truth about your work, the availability of funds, etc. The embassy will not punish you for unofficial employment, but it may refuse if there is no work at the time of applying. Remember, it is better to consult immigration consultant in advance, it will give you confidence before applying for a visa to Canada. To prevent the refusal is really easier than to “repulse” it in the new appication. It is very important to take into account that much in the decision-making process of issuing a Visitor visa depends on the country of your permanent residence, the country of citizenship and the corresponding embassy. 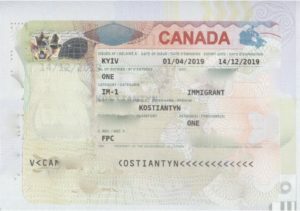 For example, Ukrainian living in Ukraine applying for a Visitor visa to Canada through Kiev Visa Office has more chances to get a visa than Ukrainian working in the Russian Federation or another country temporarily and submitting an application through Moscow Visa Office, for example. 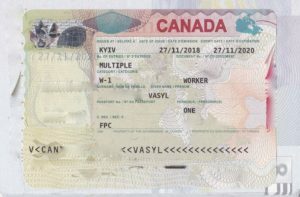 In addition, Canada keeps statistics of “particularly distinguished” countries in the prism of violation of the visa regime, visas are distributed, as well, depending on the anti-rating of countries. 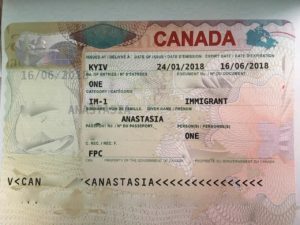 For example, Filipino citizens violated the conditions of short-term visas to Canada more often than citizens of Moldova, so now followers of Filipino “violators” suffer from refusals more often, while Moldovan applicants are considered more loyally. You can see the result of our work and commitment both on our website and on Facebook page. full support and organization of your trip to Canada – flight, accommodation, meals, entertainment, shopping, searching for potential employers, meeting with those who already live in Canada and got there due to Palleonn. We are waiting for you in our offices or on-line! Palleonn Consulting Centre – probably, the best in immigration consultancy. Palleonn is my first experience and they were completely professional and effective in preparing my application and getting result. It was very pleasant and empathetic to deal with them, I would recommend Palleonn services. Thank you! We would like to thank Palleonn Consulting Centre from all our family for professional servicing of our immigration process to Canada from start to finish. 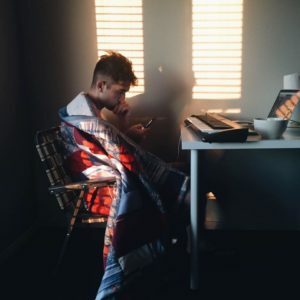 Immigration process, usually, includes individual approach to each person, as well as selection of the most appropriate pathway to get the result. Palleonn team has the individual approach, being able to offer us optimal immigration variant and we keep being thankful to them for it. Palleonn is very fast and distinct. All aspects and details of potential immigration and all related services were negotiated before signing the agreement, which made the full process absolutely transparent. Before the process started, we already knew all about its steps, expenses, challenges and prognosis. After signing the agreement, Palleon supported and services us literally on every step. Starting from preparation to IELTS exam for immigration to Canada and ending with online realtime servicing during landing as permanent residents of Canada. We received detailed and timely consultations and were supported all the time. It is worth mentioning that Palleonn management team is available for any matter 24/7. No matter what time it was, or what day of the week, we received all answers to our questions online immediately. Even when situations seemed unsolvable Palleonn was there to resolve any issue in due time frames. We do recommend Palleonn Consulting Centre as a team of highly professional specialists in regard to immigration and visa support services. I would like to thank Palleonn Centre for their excellent job in providing immigration consultancy services and preparing me for IELTS Academic exam. I am very satisfied with the services and feel lucky I have chosen Palleonn for these works. 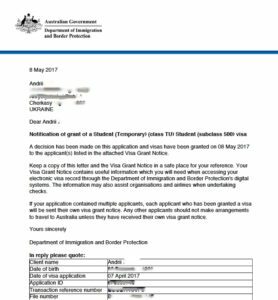 Palleonn team made my dream come true – I got student visa to Australia! We have been working with Palleonn since September 2015. During this time they assisted me in getting visitor visa and now student visa to Australia, and I am VERY thankful to them for professionalism. I would like to recommend Palleonn to everyone planning to relocate and who needs immigration and visa support services. These people know their job! 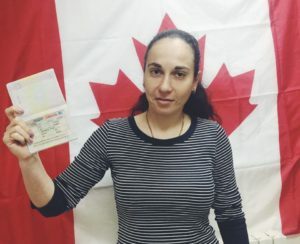 Congratulation to Tetiana, who received her immigration visa to Canada together with Palleonn Centre! 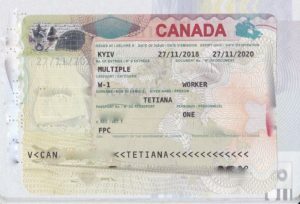 Тetiana immigrated through Saskatchewan Immigrant Nominee Program — International Skilled Worker. The whole immigration process from submission to visa pick-up tookonly 10 months. We consider it a wonderful result and our mutual achievement. Tetiana is Drafting Technologist by her profession and is a real master of her skills area. We know that Tetiana will find the best place for herself on Saskatchewan labour market and with her all the best in all new beginnings. Would you like to know more about your own chances on immigration to Canada? Contact us now.